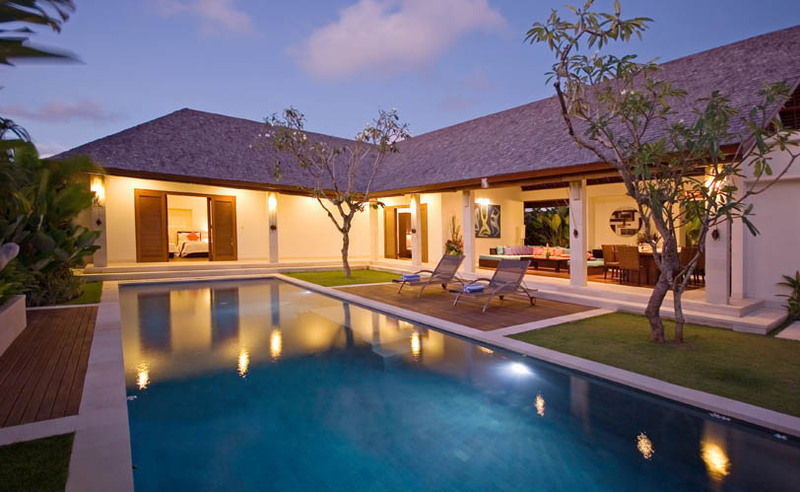 Villa Gado Gado is a luxury house for rent in Bali located in Seminyak promises you a home holiday. 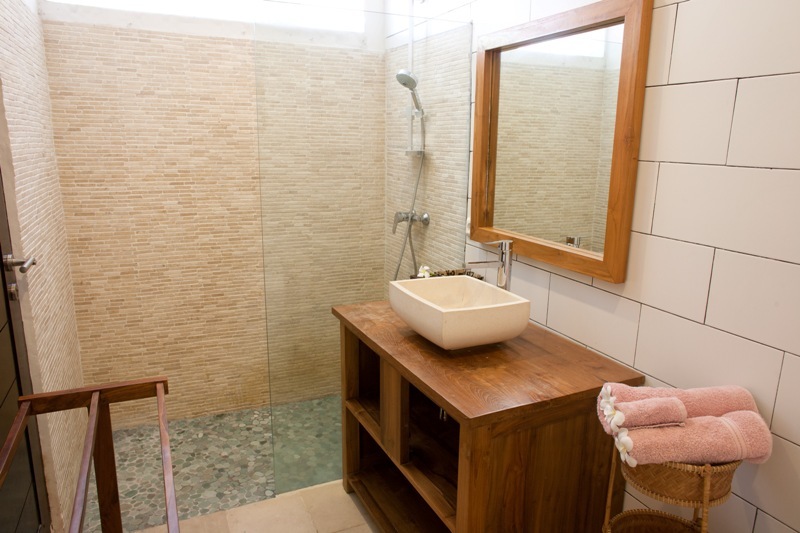 This two floors property has 3 bedrooms and comes with private en suite bathroom. 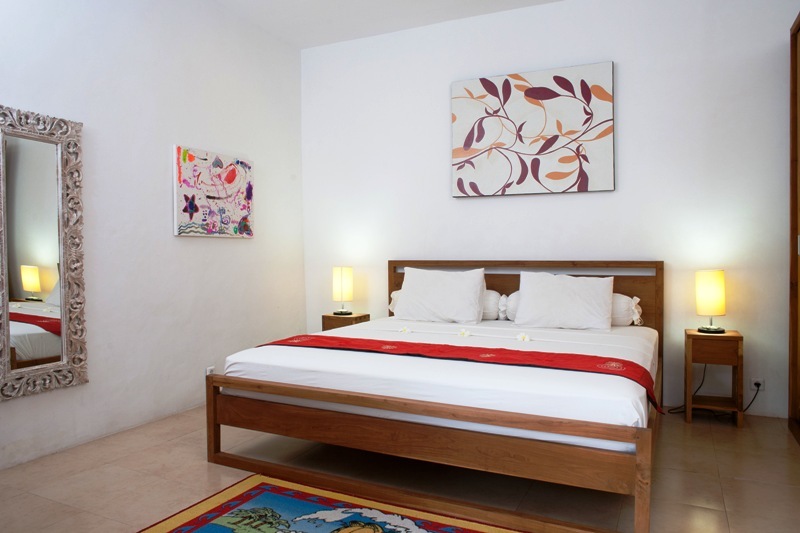 Each room is featured with air condition and facing to swimming pool. 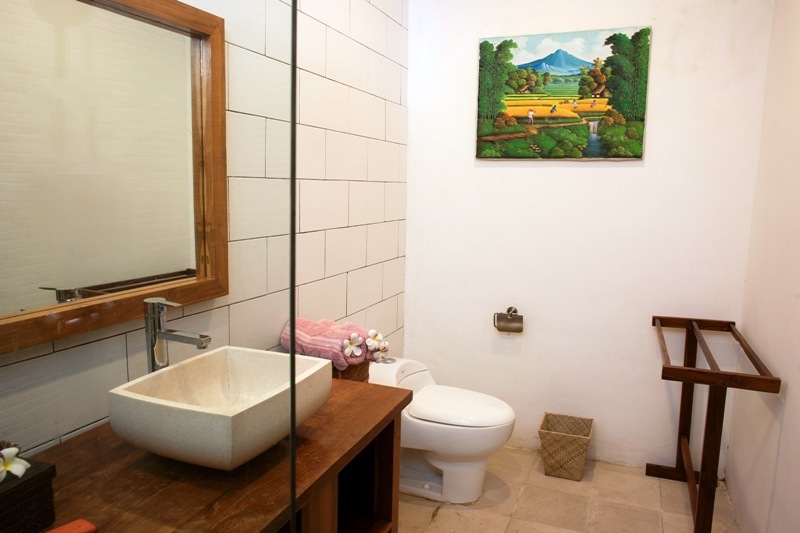 The villa features an open living style with fully equipped modern kitchen utilities and selected furniture to bring comfort and intimacy. 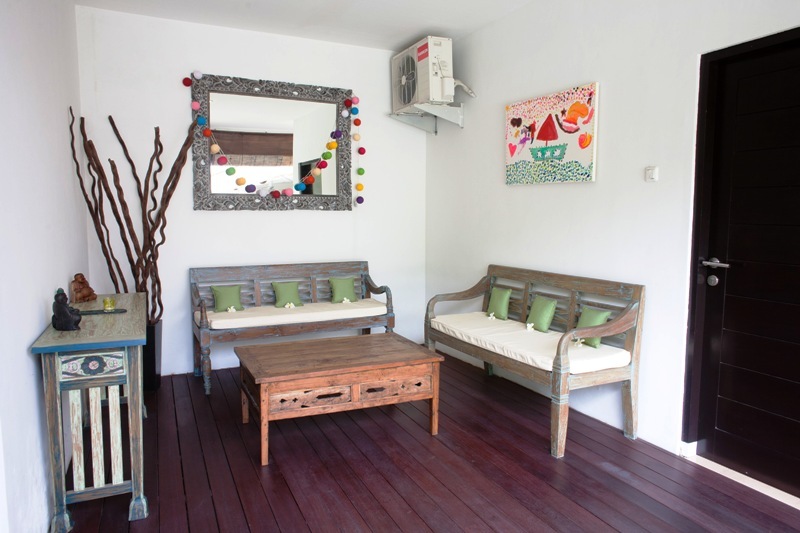 The swimming pool is surrounded by lush garden and the pool sundeck will spoil your relax time under the sun. 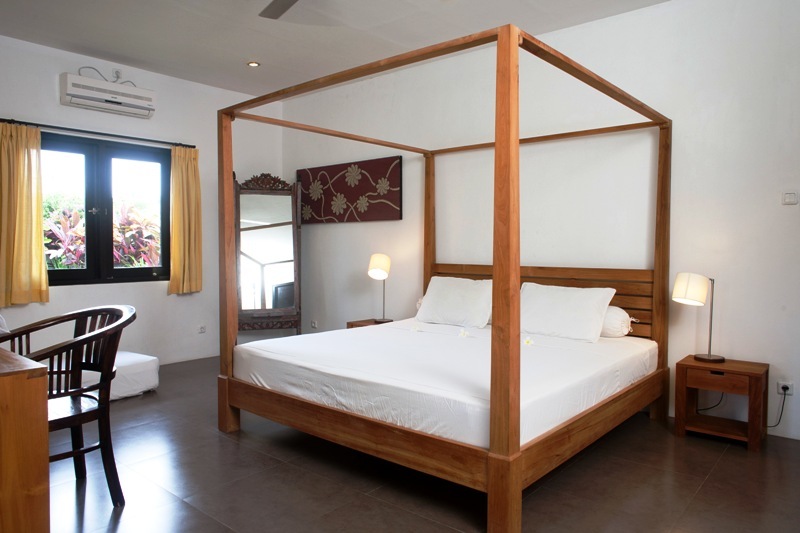 The amenities and facilities are provided for you to enjoy your stay. 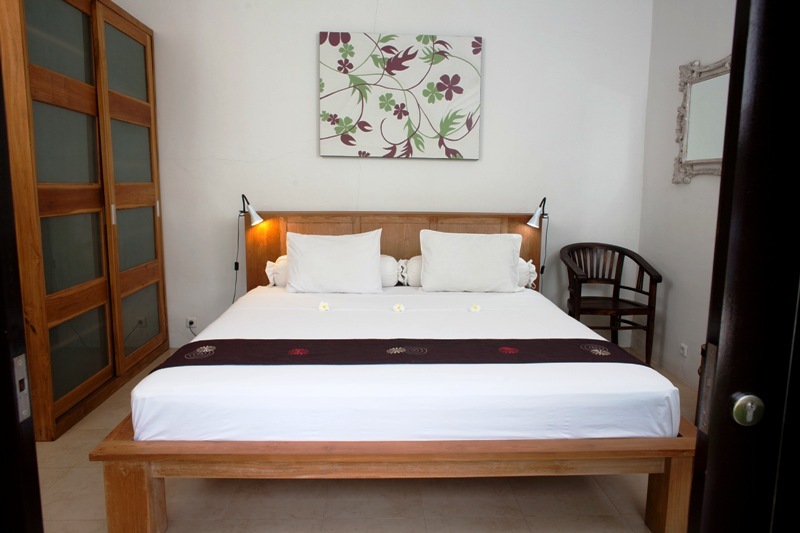 Plus, the services from friendly villa staffs will complete your stay. Enjoy your breakfast as the sun going up by swimming pool or dinner in the balcony or top roof garden. 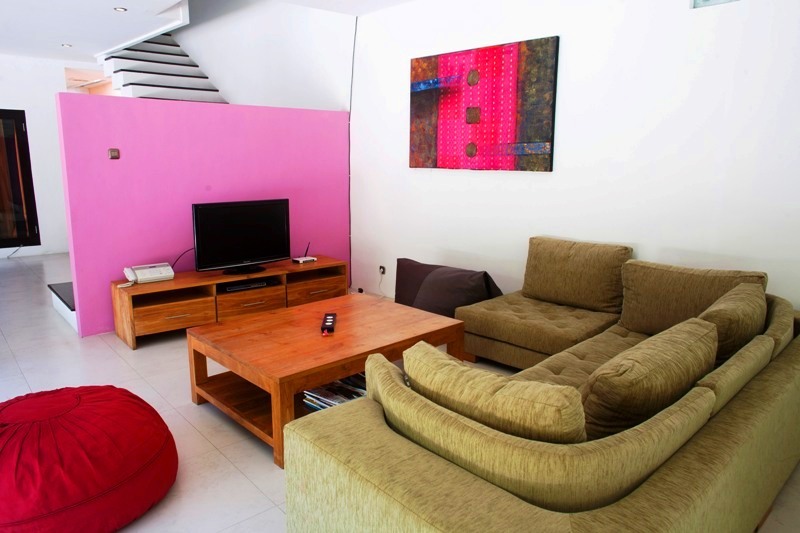 You can take all these features from the villa and, moreover, it is walk distance to the beach, beach clubs, fine selection of dining and bar, night life and trendy shops in Seminyak area. What else do you expect more than this? 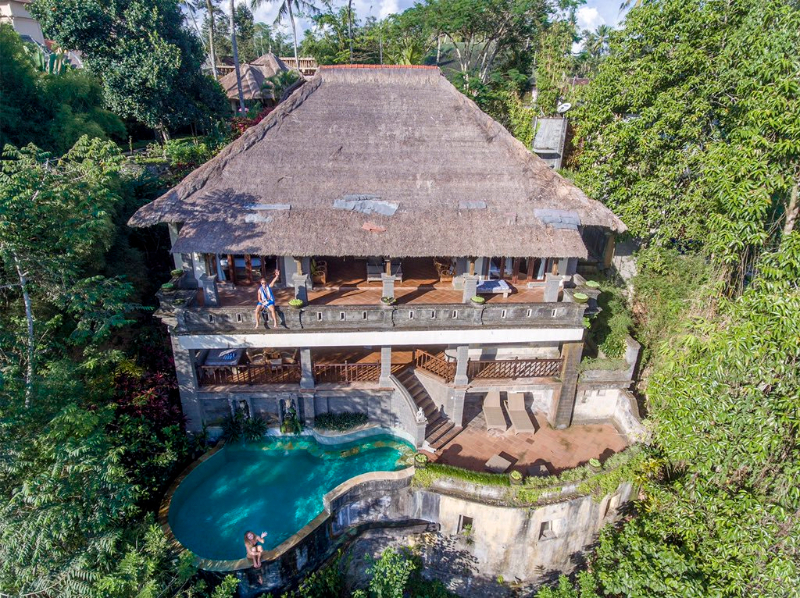 This villa is highly recommended of where to stay in Bali for everyone. 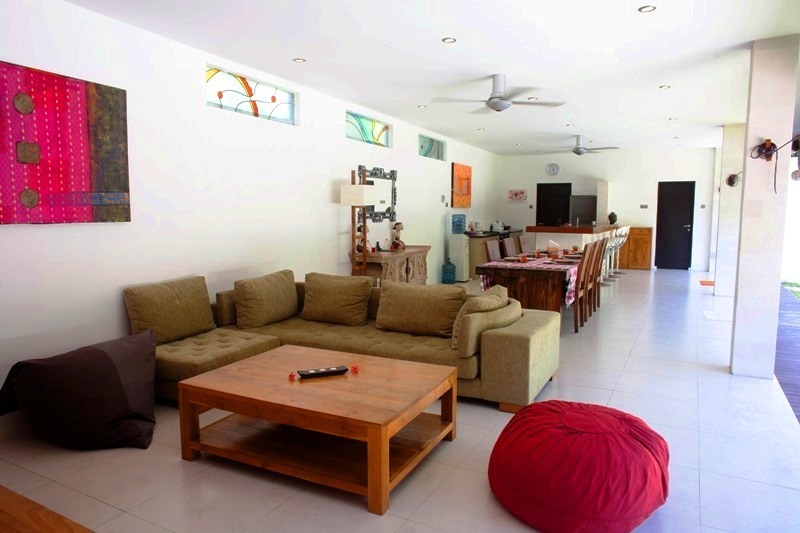 Very nice villa, very quiet and close to down town! The staff was very helpful. Wonderful moments in this quiet place, first time in Bali but not the last. Thank you for all, it was very pleasant. Good food, good staff, good job, always nice and kindfull. 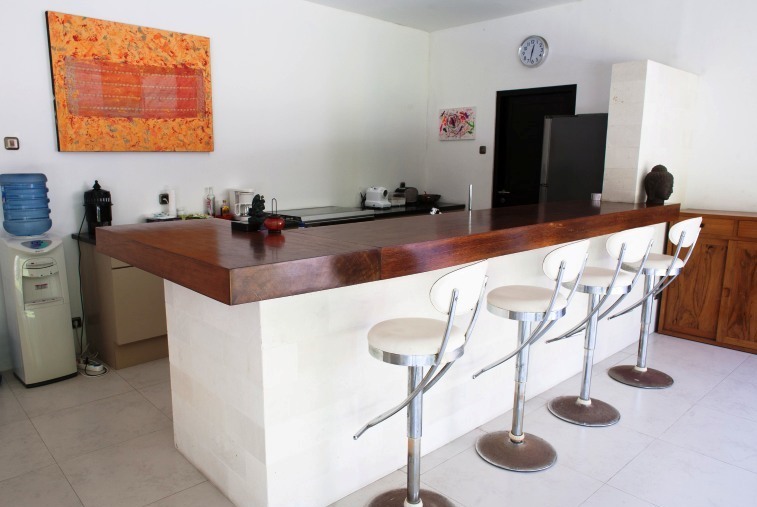 Excellent holidays in this lovely villa where everything is quiet and easy. Ida is a wonderful cook and she is very cheerful. We will definitely return here one day. Thank you. Thanks to Balijetaime, we appreciated for the prompt respond. 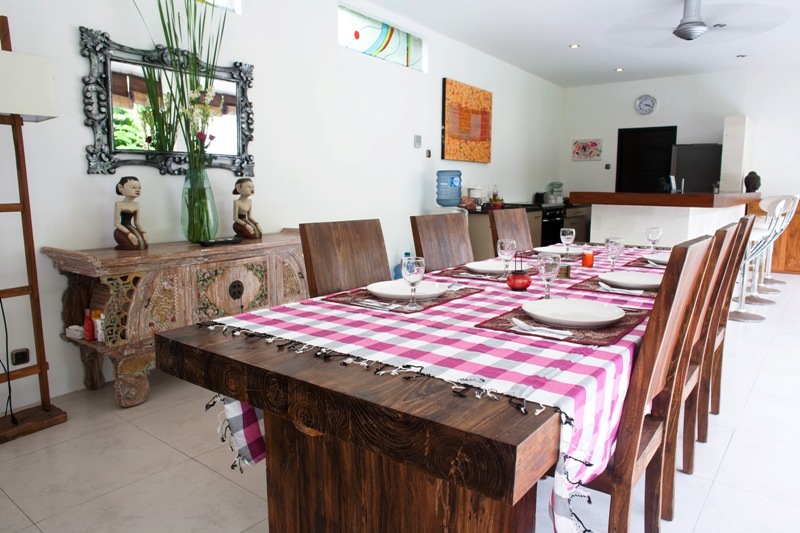 The villa was perfect and very pleasant, and the cook was excellent.Thank you for this good choice. We stayed in this Villa with babies. We liked the common facilities and the pool. The house keepers were very helpful and friendly. The living room evenings was very warm and additional ventilator would be ideal. Towels were available. 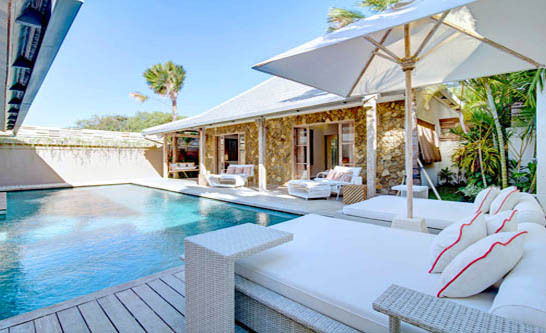 I am wondering if the other Villas are the same or we could have had better offer for the same budget. we had a wonderful stay at villa gado gado. The villa is beautiful, love the pool. The beds are comfortable. The service staff were lovely and did a very good job. Ida is a very good cleaner. Thank you! Thank you very much for the wonderful experience that you have given us. this is our first time in Bali and from what we have seen here, we would be surely be back many many times more. The villa is amazing and we spend a really good time. Gado gado villa is in the city center but its stays quiet. We enjoy the beach, the restaurants and the bars around. the staff is really kind and everything is very good.